Calum Fyfe in action at Newmachar last weekend In the Kings Links Golf Centre-sponsored NE District Open. Picture by Cal Carson Golf Agency. 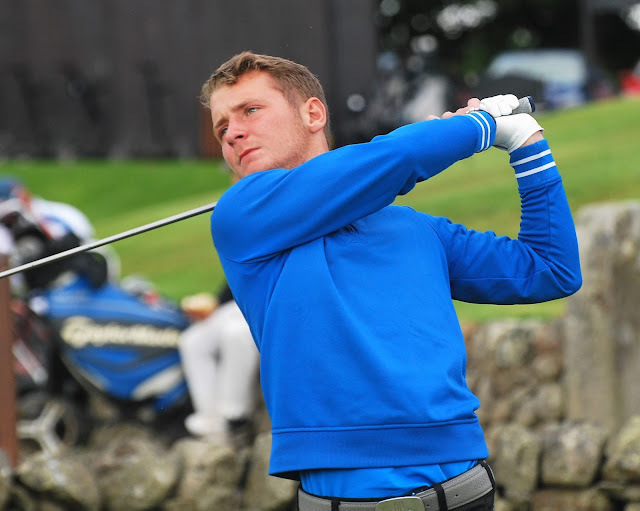 The side is led by Scottish Order of Merit leader Calum Fyfe who will be looking to build on an impressive season to date with a strong showing. There is further experience in the selection of Gordon Miller and Andrew Fairbairn, both of whom have represented Glasgow in the event previously. Steven Manning, Brendan McKenna and Graeme Cross will all be playing the Area team championship for the first time.